Rent a car Lahore is a car rental company provides cars/vans at rent to individuals and corporation at rent to fulfill their travelling need. We have latest and new model of vehicles at our fleet. To provide comfortable and satisfactory Car Rental Lahore service to our customers. Rent a car Lahore operating in the industry of Pakistan with fulfilling travel and transport need of Pakistan. During our 5 year of success we service number of corporate segment of Pakistan and playing a great part to provide transport to explore and promote the tourism segment of Pakistan. we Rent a car lahore have experienced staff available 24 hour for serving our valuable clients. Suzuki Cultus Model 2016-17 Available For Rent. 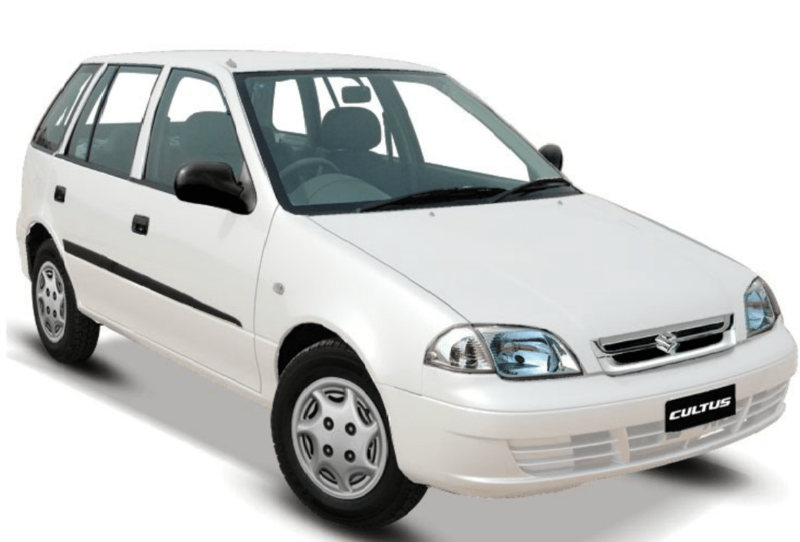 This Is Economy Hatchback Car For 4 Passengers, You Can Hire Online Cars From Car Rental Lahore On Cheap Rates. Rent a Car in Lahore Is Fastest & Reliable Way To Hire Cars On Just One Phone Call Away.